You've probably noticed that everyone's talking about coconut oil these days. It's in health food stores, online and even in your local supermarket now. What made my ears prick up was the fact people were saying they were using it to whiten their teeth, and we all want white teeth don't we, so a few months back I bought my first jar, a very large one at that, well, I thought in for a penny in for a pound! I was about to begin my oil pulling journey. I've been pulling for around three months now and wanted to give it a damn good go for some time before I reported my findings and thoughts to you guys. First things first. What is oil pulling? It's basically a natural alternative method to help with oral hygiene and overall health. It's been around for over 5,000 years, so its gotta work right? A huge amount of bacterial nastiness lives in your mouth so when you swallow you end up digesting a lot of that shizzle, YUK! The oil pulling technique helps you to start with a fresh clean mouth every day by eliminating a lot of the micro-organisms that are lurking. 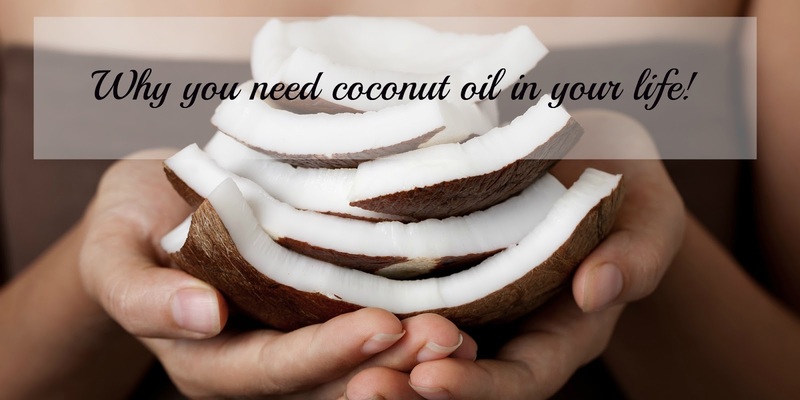 Different types of oil can be used but I think coconut is the most popular and also has anti-bacterial properties. I'm going to put my hands up and be totally honest and tell you I was scared about putting something totally alien in my mouth, I know, ridiculous hey? Not sure why, I think it must have been that fear of the unknown. I wasn't sure I would be able to cope with the texture for starters, or the taste. Would I gag? Would I be sick? In the morning before breakfast pop between a teaspoon to a tablespoon of oil into your mouth, I can manage a tablespoon but everyone is different, then swish like you do with a mouthwash and push and pull the oil through your teeth. You can swish, push and pull anywhere between 10 - 20 minutes, I do the full 20 as for me this gives the best results. This activates the enzymes which help to draw out the toxins in your mouth and between your teeth so DO NOT swallow any of the oil as you certainly don't want to be swallowing those nasties. If you think you'll struggle with 20 minutes start at 10 and build up to the 20, you'll find it gets easier in no time I promise. Once your time is up DO NOT dispose of the oil down the sink as it's likely to solidify and may block your pipes! I spit mine out in the bin or you could spit it into a bag. Make sure you rinse well. When I first started it was still cooler temperatures in the UK so my oil was in a solid form. I would scoop out my tablespoon and pop it in. This is what I found the hardest. The solid mass in my mouth was hard to bear and it did make me gag. I would push and pull really quickly to start off so the oil melted and once it had I calmed down and went about my business. It's not so bad now as mine is constantly in a liquid form with the warmer weather which I find much easier. The other thing I found tricky initially was the not swallowing part. We all have to swallow and as much as I tried I found myself swallowing little dribbles of oil which I really did not like, didn't like the taste one bit. I've mastered that now though. If I need to swallow I put my chin towards my chest which seems to close off my throat just enough, and hey presto no oil digested. Just a little tip for you, it works for me anyway. The 20 minutes goes quickly now. In the beginning I was watching that timer and it seemed to go on forever, but now I get up, dig out my tablespoon, in it goes, I start to get ready for my day and tend to forget I'm even doing it! My teeth are definitely whiter. For sure. Mr C noticed within a week. My gums just look a lot healthier and my sensitivity has improved which his great. My teeth are fairly white anyway so for me to see a difference is a big thing so perhaps someone with not so white teeth would get an even better result. The oral hygiene is a big thing for me too as I HATE the dentist so anything that can keep me away is a winner in my book. I will say that the benefits are what people have found over the years, I'm not sure any scientific testing or official reporting has been done, all I know is that I've definitely seen results, and that's not just with oil pulling but I'll tell you about my other uses and findings another time. If you want to buy some coconut oil yourself, there are a couple of things to bear in mind. Buy organic, and buy unrefined good quality oil. I got my first tub from here, which was a huge size and it's about gone but another great website to look at is Lucy Bee. The site is packed full of beauty tips, recipes, health information and lots more and you can purchase your jar here too. Please bear in mind though that I am no health expert and although it's worked for me you should do your own research if you're thinking of giving it a go. Remember as well that oil pulling is not for everyone and if you are going to try it, give it a good go, for a month at least, I know some people have said they gave up after a week, a week I ask you, what's the point in that, perhaps buy a small jar to start off with and see if you can tolerate it. Good luck! Do you do oil pulling? Have you seen great results? Well this is an interesting concept! You learn something new every day. As you know I started this last week and out of 7 days I've done 4. The solid coconut oil in my mouth is almost unbearable - I do wonder if I could get liquid oil and do it because the only thing stopping me from doing it is the first gagging 30 seconds. I shall carry on, you've inspired me! Our household has gone on this natural health for both exercising and beauty. I thinn I'll give this one a try. This has inspired me to start oil pulling again! I've done it once or twice before but never really stuck to it. It definitely made my gums feel a lot healthier though. Thanks Kirstie, it's worth doing that's for sure. I've been slacking a little bit too lately and I really to 'get back on it' !